The myths of our northern ancestors, garnered from Ice- land, offer us a wealth of material for stories, which are eagerly listened to by children. 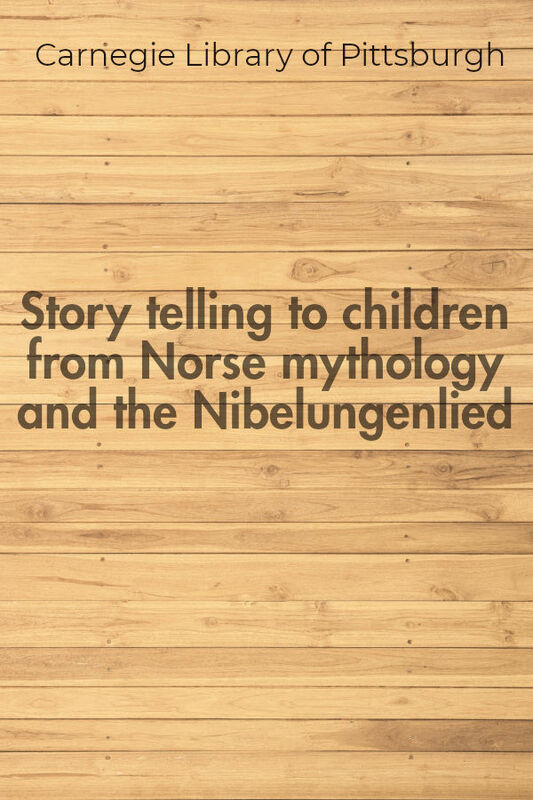 The dramatic possibilities of these tales, once told by Norse grandmothers during the “long nights,” or sung by wandering scalds, are an inspiration to the story teller. Moreover, these stories hold the seeds of our Germanic civilization : justice, order and unity. They are the thought of a people who could foreshadow, in Ragnarok (The twilight of the gods), an end to their own religious beliefs an end to things which had served their purpose. The ethical teaching of these stories is not subtle, but deep and strong. The struggles of good with evil, the punishment of evil, and the triumph of good are drawn with strong lights and shadows, and with a simple dignity which appeals to children. The dramatic action and poetic setting reveal the sturdy Norse race dependent on the sword for sustenance, living among the phenomena of the frozen north, where nature is full of mysterious suggestion. For the wonder- loving children the stories teem with frost-giants, light-elves and elves of darkness, dwarfs and hideous monsters, as well as gods and goddesses, dauntless heroes, and strong, fierce women.